On to day 3 and it’s time for an old favourite to come out. 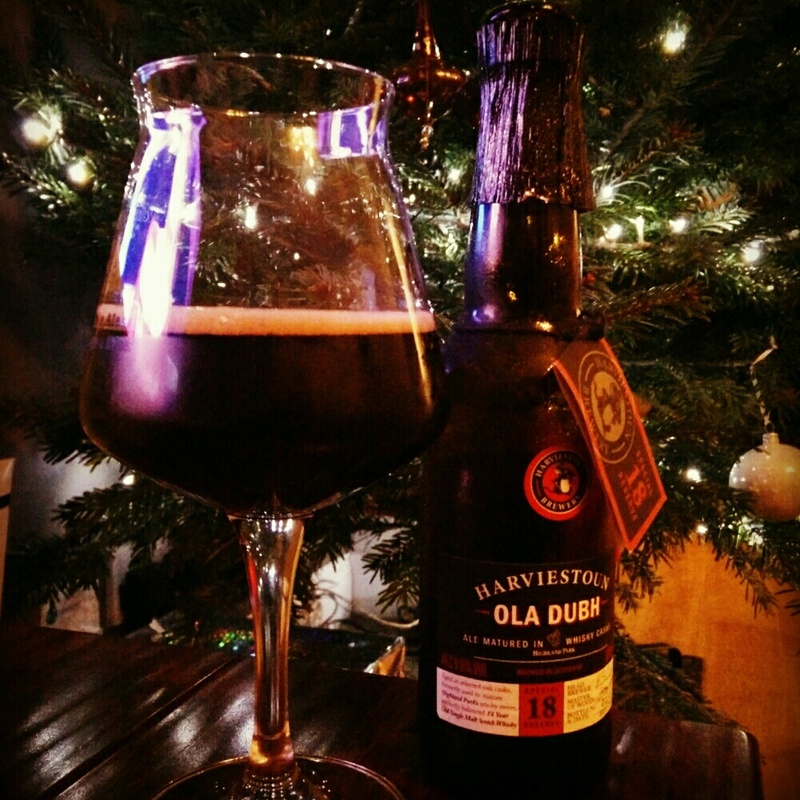 The Harviestoun Ola Dubh range is great, and I’d have been happy having any one if them in my selection. I’ve picked the ’18’ for no other reason than it was sat in front of the others in my fridge. If you’ve not come across this before, it’s a stout-like dark ale, aged in various Highland Park whisky casks, in this case one that previously contained an 18 year old. Apparently Ola Dubh translates as ‘black oil’ and it pours, as you’d expect, quite thickly. A tan head is briefly present, but quickly dies back. Aroma wise, its very sweet… Not much else coming through for me. First taste and there’s plenty of bitter chocolate, the whisky comes through but it’s not as immediately prominent as some of the other versions. Alcohol, toffee, liquorice, coffee all follow.